Dubarry&apos;s Blackthorn is a tailored, three-quarter-length tweed coat for women and is one of Dub.. Perfect for stylish outdoor enthusiasts the Willow ladies tweed sport jacket is shower resistant tha.. The Dubarry Bracken tweed sports jacket is a practical addition to your country attire wardrobe. Wit.. The best selling Mayfair Coat from Schöffel&apos;s range of luxurious down coats. Featuring a water ..
Dubarry&apos;s Moorland tweed jacket for women is a key ladies&apos; fashion piece in Teflon coated .. 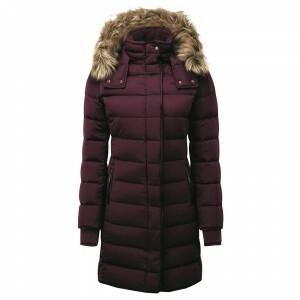 The Baltray women&apos;s winter coat from Dubarry&apos;s outdoor clothing collection is crafted from.. The Mountrath country jacket for women from Dubarry&apos;s outdoor clothing collection is crafted fr..
Devlin, a women&apos;s quilted, hooded jacket, new to Dubarry&apos;s collection of performance outer.. The essence of tweed country clothing from Dubarry is Samphire, a tweed cape with faux fur collar an.. This classic tweed women&apos;s country sports coat is a true heritage piece. 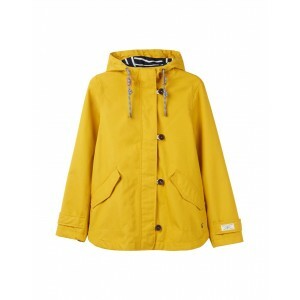 Completely timeless an..
Be prepared for all weathers on the shoot in the Women&apos;s Burnham Jacket. It is waterproof and b..
Dubarry&apos;s Spindle tweed waistcoat is ideal as workwear for women, for country style and city st..
Ladies&apos; gilet Oranmore, part of Dubarry&apos;s new ladies&apos; clothing collection, is a waxed..
Tweed poncho Hazelwood joins Dubarry&apos;s popular Tweed Country Clothing Collection. A key ladies&.. This quilted, waterproof parka has an awful lot going for it. Let&apos;s start with the generous fur.. The quilted Shaw is the ideal women&apos;s coat for country wear. The sleek and slim silhouette alon..
A timeless tweed blazer will see you through many an occasion and season. This one features all the ..
Not many things make us wish for colder weather, however this new padded jacket is one. With an extr.. 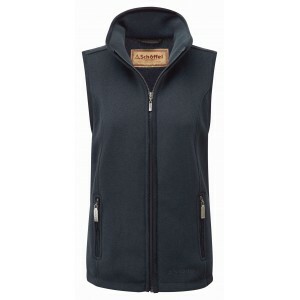 This down filled ladies gilet is the perfect addition to any sailing clothing or country wear. Avail..
Dubarry Shannon Jacket. Waterproof and breathable with an integrated hood, fleece-lined pockets and ..
Ladies&apos; waterproof, lightweight Parka, with hood, zip and stud fastening and zipped flap pocket..
A warm wool sweater with wind proof lining. Perfect to wear during cold outdoor activities. 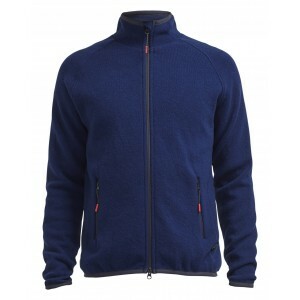 Raglan s..
A knitted fleece with stretch in all the right places, the Knightsbridge Gilet has an adjustable cor..
Dubarry&apos;s Mornington Parka style women&apos;s jacket, is new to Dubarry&apos;s Outdoor Clothing.. Some items of clothing never go out of style; the iconic duffle coat is one such piece. In true Joul..
With both a detachable high collar and separate deep hood that are lined in faux fur, this is a func..
A quilted gilet featuring rib knit side panels for a flattering fit. The Islington Gile has two zip ..
A cord collar and piping add to the special finish of this lighter weight faux wax jacket. Cut to an..
A ladies&apos; water resistant jacket, with a handy roll away hood, Lecarrow offers lightweight perf..
Ladies&apos; lightweight PrimaLoft® jacket with a combination of quilted and knitted panels, with st..
A great-looking, soft-to-the-touch jacket in stunning colours and with all the trimmings you need fo.. When it comes to quilted jackets, no one does it better. The versatile Newdale is a firm favourite; ..
A cotton blazer is the perfect summer jacket. Smart enough to dress up, yet relaxed enough for a cas.. Designed with the great British outdoors in mind, this nautical-inspired piece of outerwear has been..
Part of our Right as Rain collection this shorter boxy style jacket is the perfect accompaniment to ..
Dubarry Bayview gilet. A lightweight gilet featuring PrimaLoft® filler and knitted sides for a strea..
Part of our Warm Welcome collection, this lightweight jacket is one of the reasons we love cold weat.. 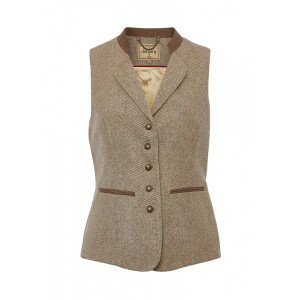 The reversible Eglington ladies&apos; gilet provides lightweight, stylish warmth with a feminine sil..